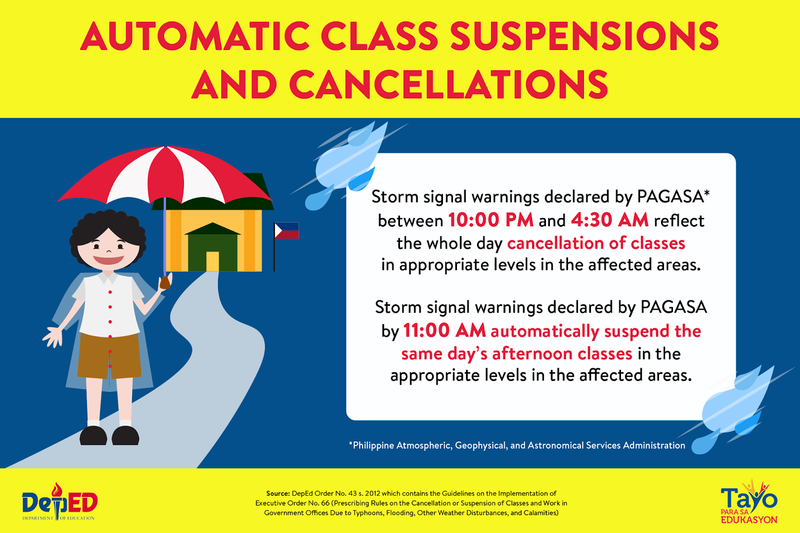 MANILA, Philippines - Class suspensions on Tuesday, March 19, 2019 are announced at certain areas by Local Government Units (LGUs) due to potential heavy rains and winds brought by Bagyong Chedeng. 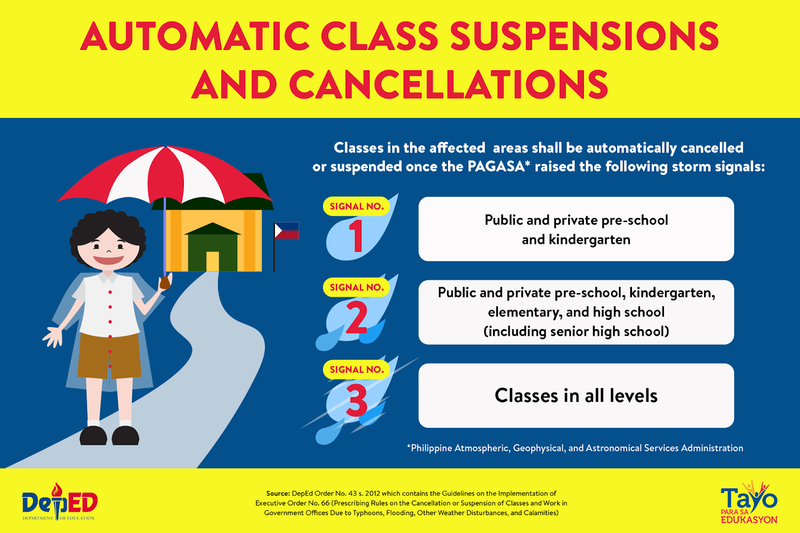 Here's the live list of class/ work suspensions on March 19, 2019 as declared by respective LGUs. CHEDENG" continues to move closer towards the eastern seaboard of Davao Region. At 1:00 PM today, the eye of the Tropical Depression "CHEDENG" was estimated based on all available data at 370 km East Southeast of Davao City. Scattered to at times widespread moderate to heavy rains will prevail over Caraga and Davao Regions, especially over Surigao del Sur, eastern portion of Agusan del Sur, Davao Oriental, and Compostela Valley. 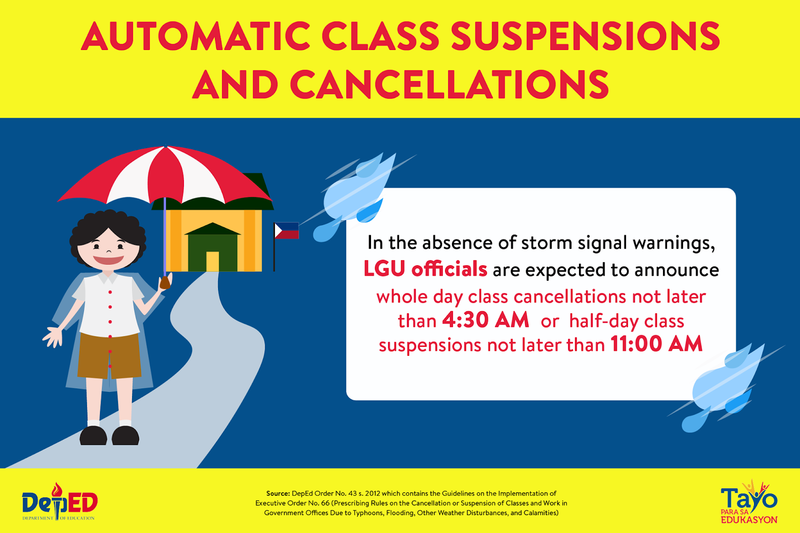 Shall there be a typhoon warning signals to an area, automatic class suspension guidelines from the Department of Education will be observed. Images below are courtesy of DepEd. 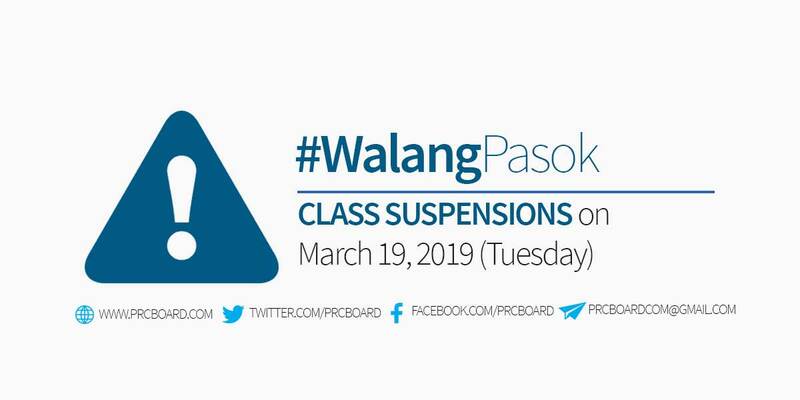 We advise our readers to bookmark this page to receive real-time updates on class suspensions for March 19, 2019. You may also follow us at our social media accounts via Facebook and Twitter.